Today, the numerous health benefits of apple cider vinegar are being proven and are still vastly used for various reasons, such as the ones listed below. Although ACV has been used for centuries and has shown promise in health benefits, many studies are still being conducted to understand the full mechanism of how it works in the human body. As with any addition of non-prescription supplements to your medication regimen, be sure to first discuss with your healthcare provider and/or pharmacist if supplementing ACV to your diet is safe for you. 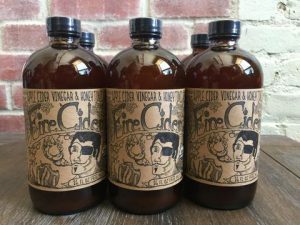 Community Farmacy proudly sells Bragg’s Organic Apple Cider Vinegar, as well as Fire Cider – Apple Cider Vinegar with a kick! Stop in and ask for a sample! Vinegar History. Apple Cider Vinegar Benefits. 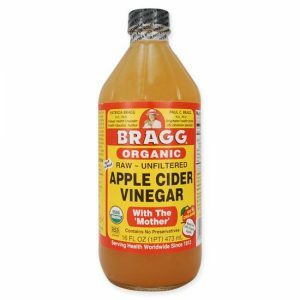 http://www.apple-cider-vinegar-benefits.com/vinegar-and-diabetes.html. Accessed November 1, 2016. Apple Cider Vinegar: 13+ Health Benefits. Reader’s Digest. http://www.rd.com/health/wellness/apple-cider-vinegar-benefits/. Accessed November 1, 2016. Bouderbala H, Kaddouri H, Kheroua O, et al. Anti-Obesogenic Effect of Apple Cider Vinegar in Rats Subjected to a High Fat Diet. Annales de Cardiologie et d’Angeiologie. 2016;65(3):208–13. https://www.ncbi.nlm.nih.gov/pubmed/27209492. Accessed November 1, 2016. Ostman E, Granfeldt Y, Persson L, et al. Vinegar Supplementation Lowers Glucose and Insulin Responses and Increases Satiety After a Bread Meal in Healthy Subjects. European Journal of Clinical Nutrition. 2005;59(9):983–8. https://www.ncbi.nlm.nih.gov/pubmed/16015276. Accessed November 1, 2016. Written by Shoghag Aktavoukian, PharmD Candidate, Class of 2017 at the University of Maryland Eastern Shore School of Pharmacy.